Want to climb? Book your Competency Test today! To ensure that we can continue to offer a safe environment for unsupervised sessions, we will require everyone to complete a new Competency Test. 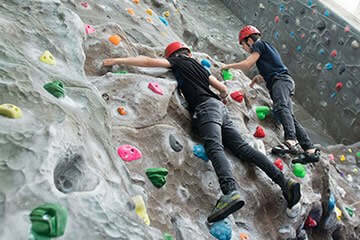 Never climbed before but want to have a go? Get started with a one hour taster session. These sessions are aimed at complete novices as an experience/trial session. An instructor is one hand to help you with the basics and all equipment is provided. You can book a whole session for up to 6 people or book for individuals and be part of a maximum group of 6 with others. Minimum age of 8 years, under 10 years must be accompanied. To ensure the safety of all of our climbers, everyone must complete a Competency Assessment before climbing unsupervised. 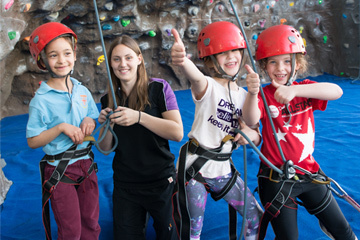 A Competency Assessment tests your ability to safely put on a harness, tie in and belay (no teaching is involved). 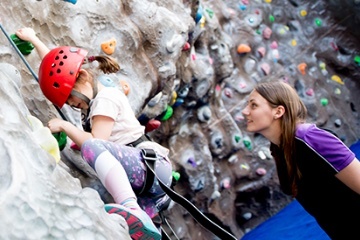 Climbing Competency Assessments need to be pre-booked – make sure you email now to arrange yours! 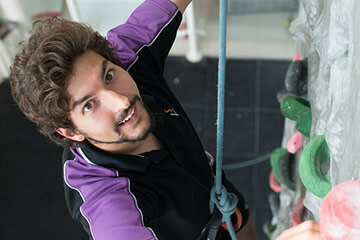 Our Learn to Climb courses and inductions are designed as ‘zero to hero’ for brand new climbers to pass a Climbing Competency Test and practice techniques in a safe environment. These courses are aimed at 8-13 year olds. Children will work towards a Hertfordshire Sports Village award. These courses are aimed at 14-17 year olds. 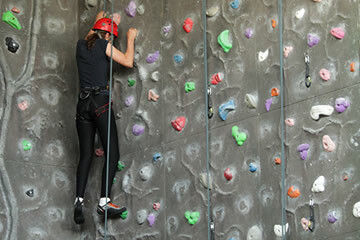 Teenagers will develop personal skills whilst working towards a Hertfordshire Sports Village award. Our One-to-Ones are tailored for individual coaching and instruction. 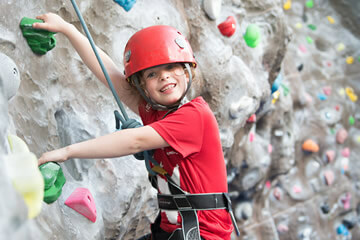 Our group climbing sessions are a great team building activity for 2 – 12 people. 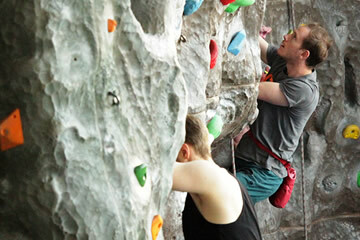 These one hour sessions will provide you with the basics to climbing with your own instructor for the full session. A great way to bond with classmates, colleagues or friends – they will give you a confidence boost too! *Discounts available for school block bookings. Please let us know your preferred dates and times when enquiring.